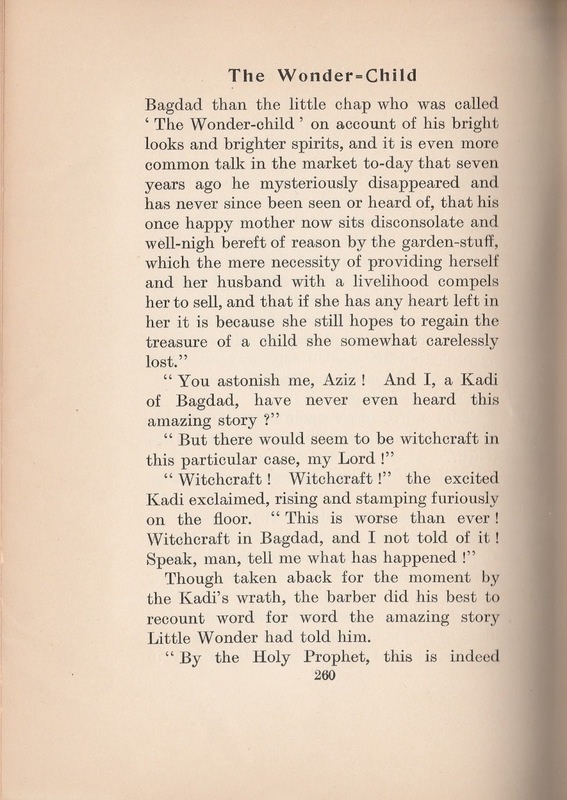 Today is National Readathon Day, the third week of our story, "The Wonder Child", and the fourth part called "Cook to the Kadi." 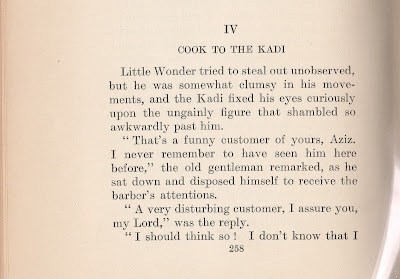 Last week we pointed out as the Hornstein version calls him a Kadi,(Arabic: قاضي‎; also cadi, kadi or qāḍī). 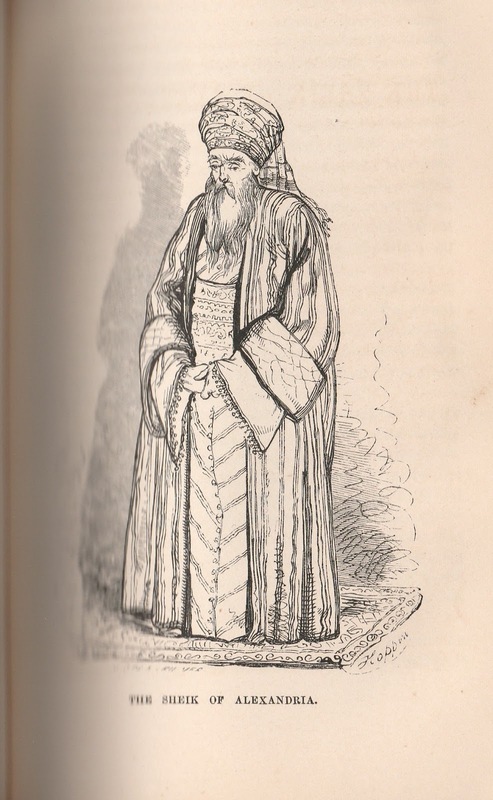 The Kadi is a judge who reviews civil, judicial and religious matters according to Islamic law. 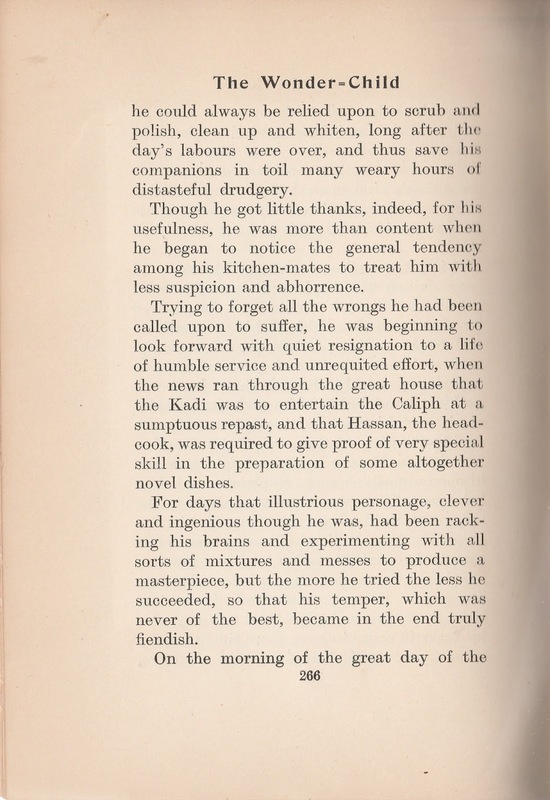 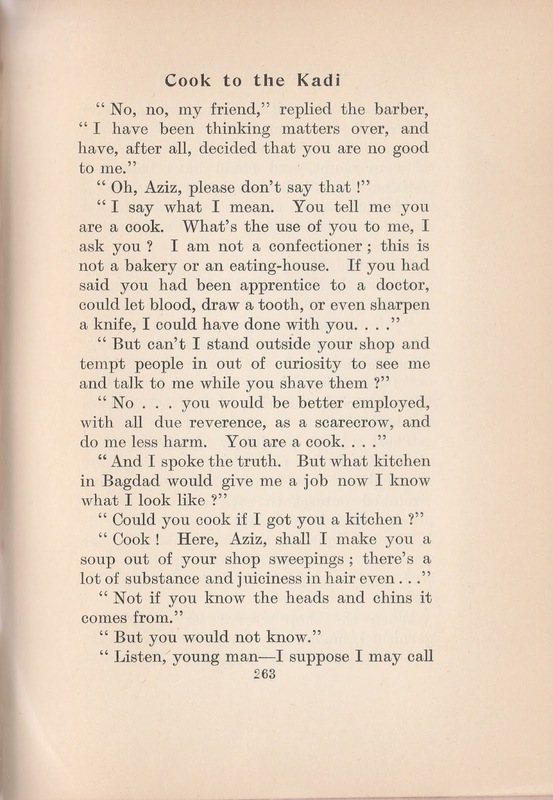 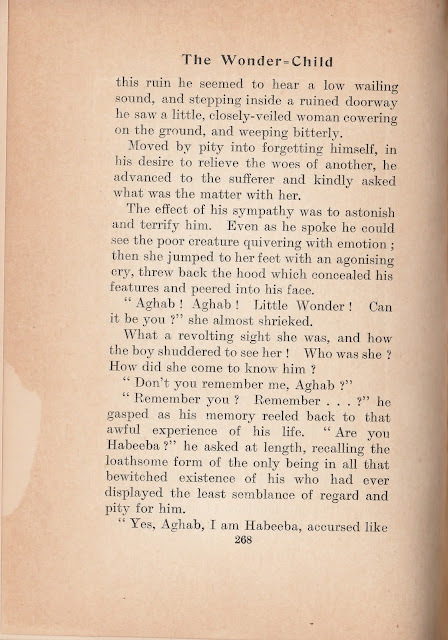 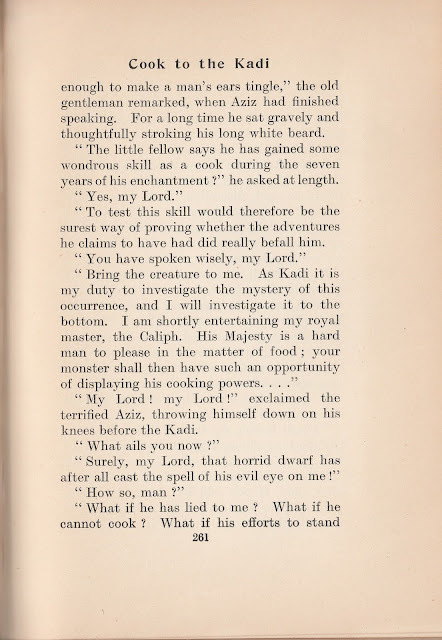 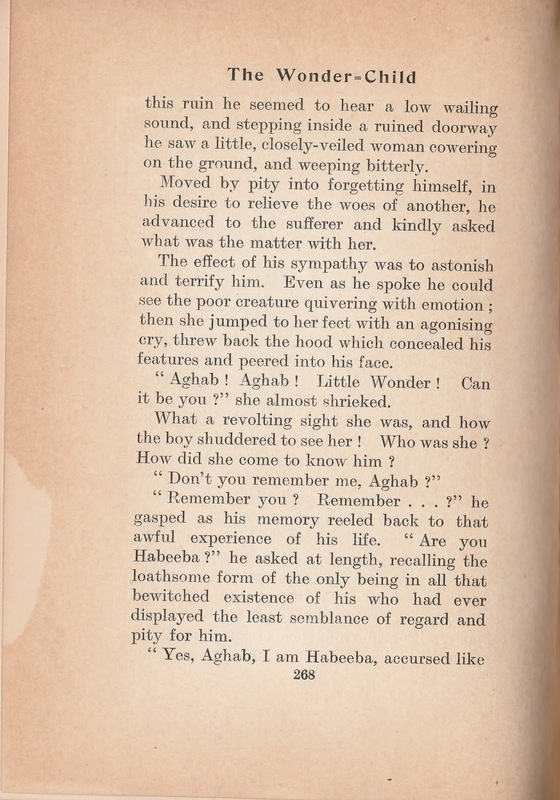 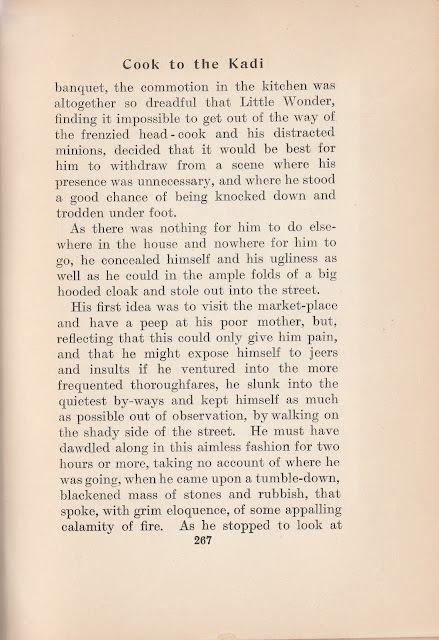 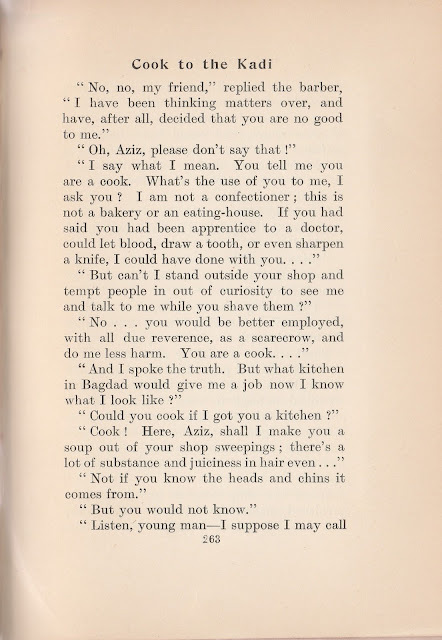 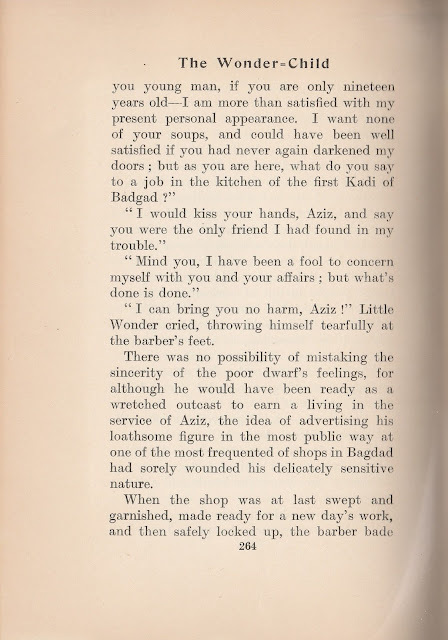 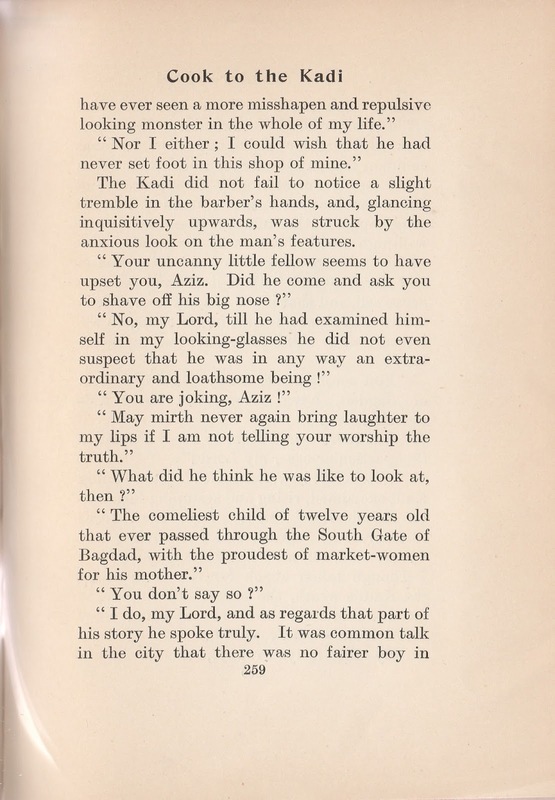 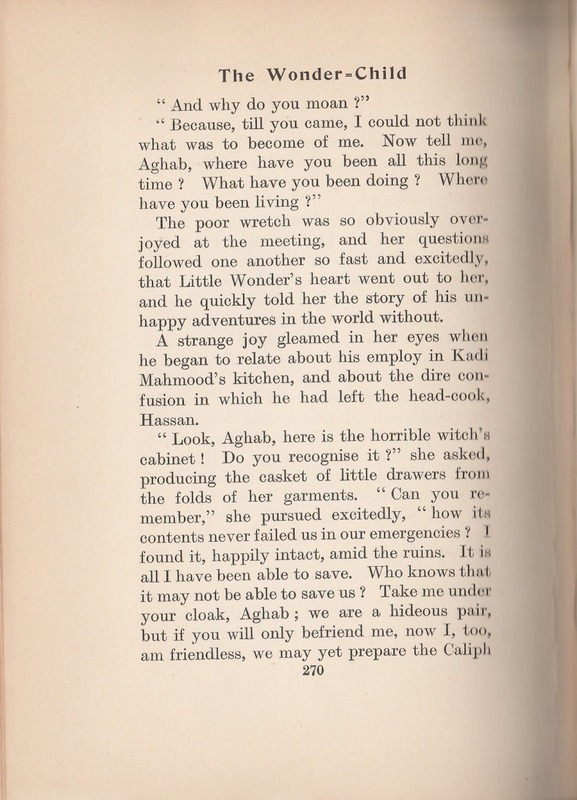 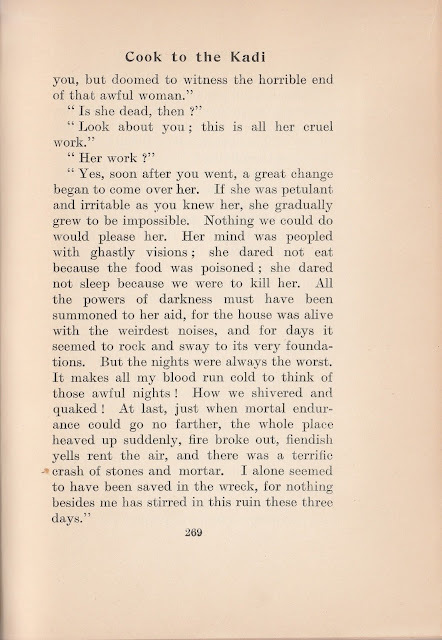 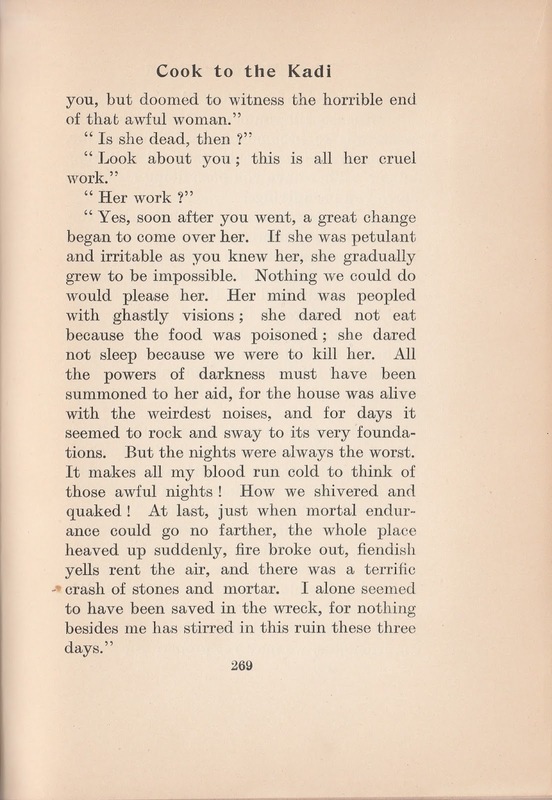 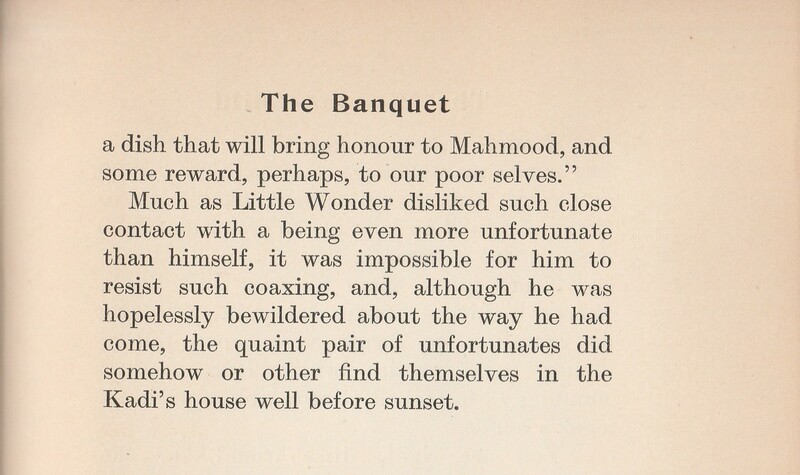 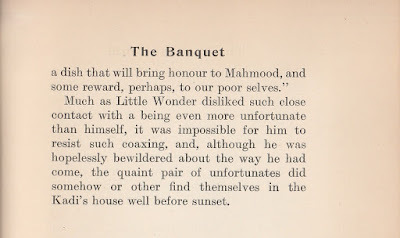 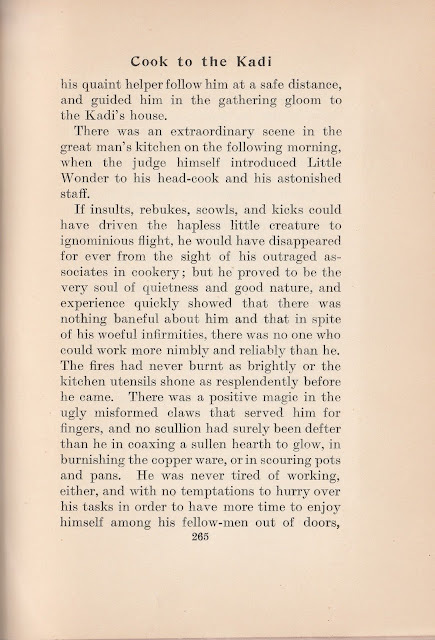 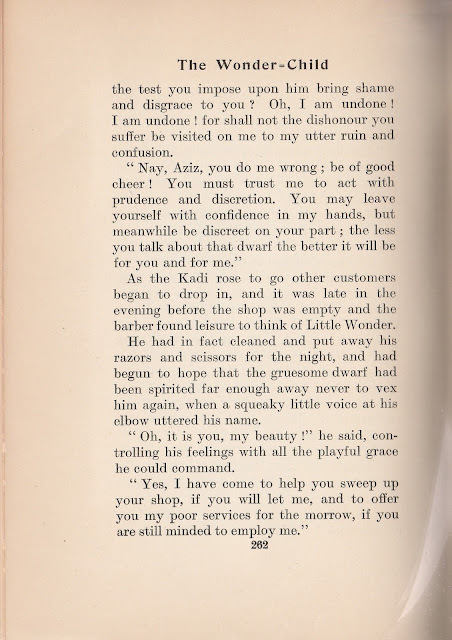 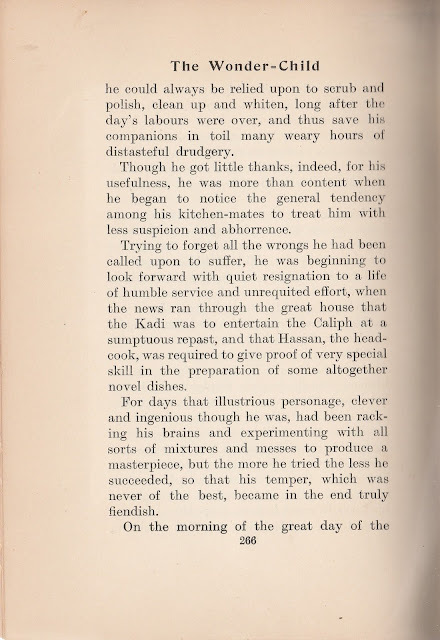 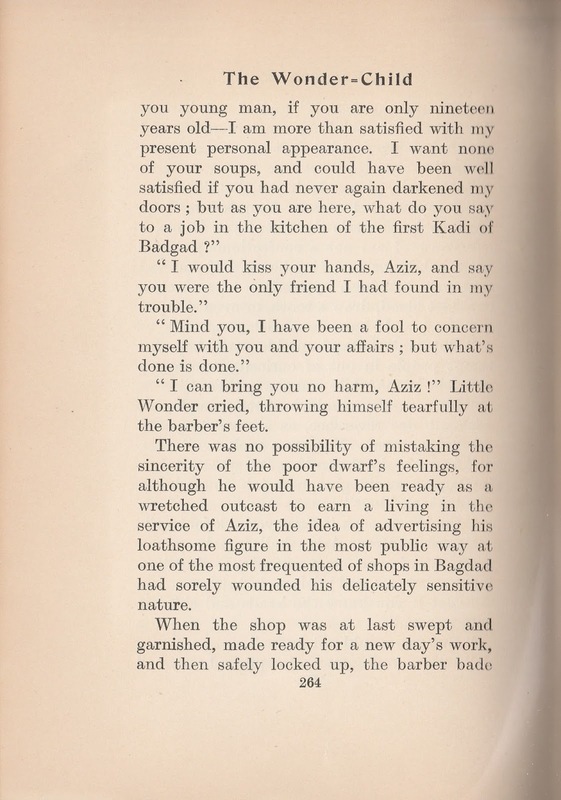 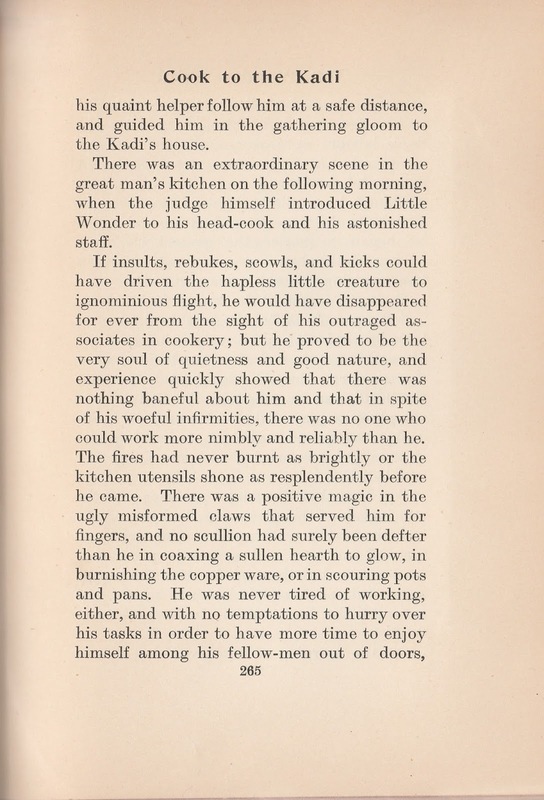 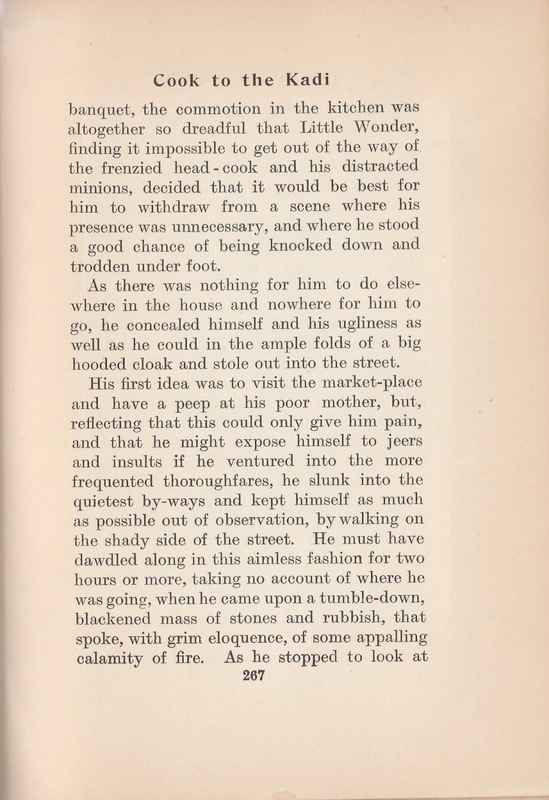 The original story by Hauff and many versions of this story, such as Tales of the Caravan, Inn, and Palace translated by Edward L. Stowell, put it in a section where slaves tell stories to the Sheik of Alexandria . 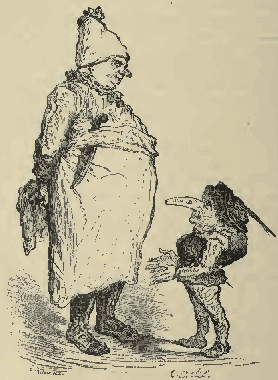 That's just a "frame" letting the story be told. 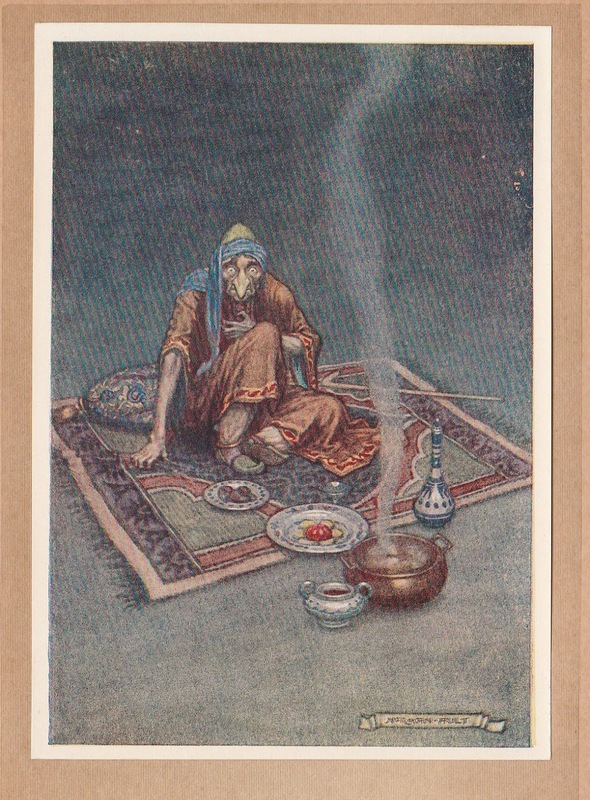 Some of the illustrations from Stowell's version fit today even it we use Hornstein's version. 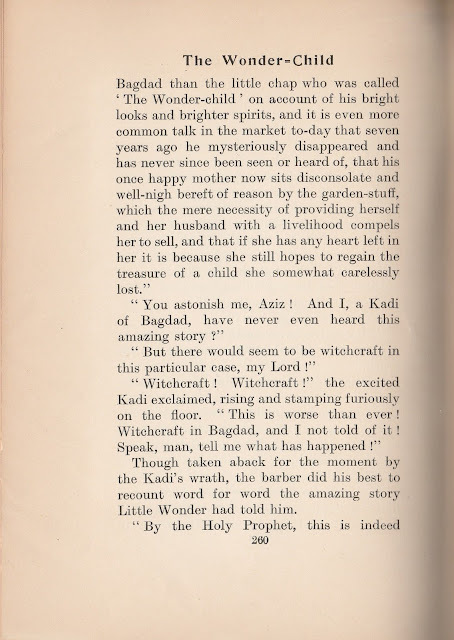 Today's story moves the Wonder Child to the palace of the Kadi and Hornstein eliminates the frame. 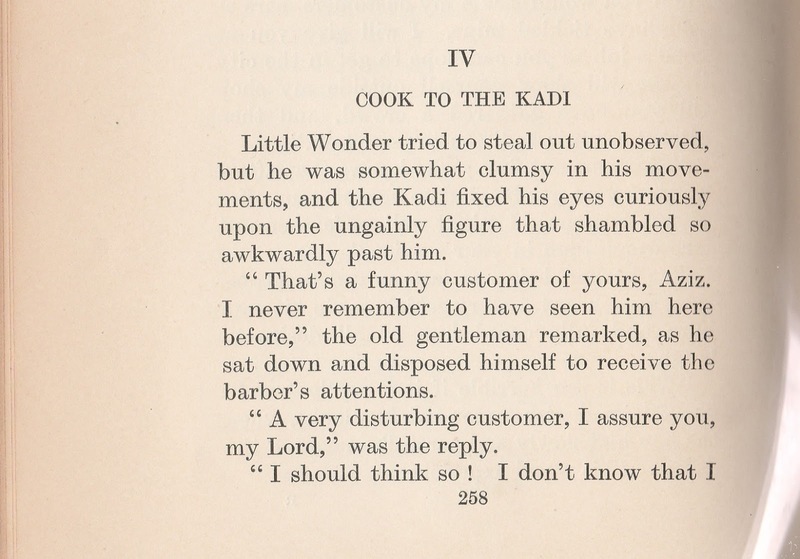 Come back next week for the conclusion and see.